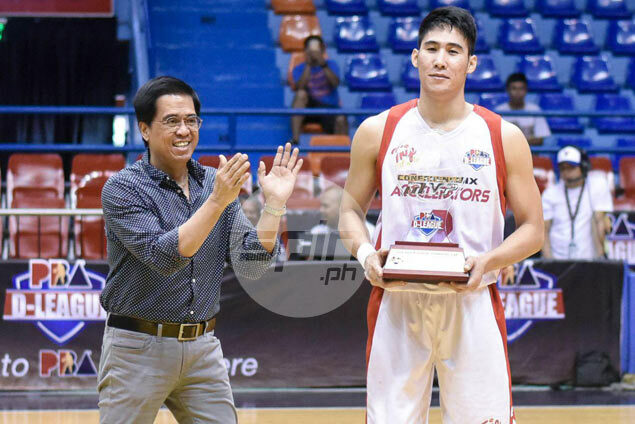 MAC Belo was named the 2016 PBA D-League Aspirants Cup MVP for his impressive performance with Phoenix. Belo was awarded the MVP plum before Game Four of the best-of-five finals on Tuesday where his Phoenix Petroleum-Far Eastern University side is looking to put away CafeFrance. Belo has now won two MVP trophies in a span of four months, having been named the UAAP Season 78 Finals MVP after leading the FEU Tamaraws to the title against University of Santo Tomas last December. Belo’s conference saw him shatter a league record when he scored 41 points against Caida Tiles.